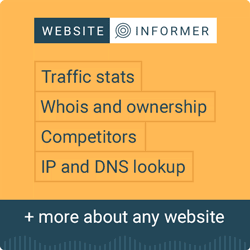 This report shows the usage statistics of ISO-8859-2 on the web. See technologies overview for explanations on the methodologies used in the surveys. Our reports are updated daily. ISO-8859-2 is used by 0.1% of all the websites whose character encoding we know. This diagram shows the historical trend in the percentage of websites using ISO-8859-2. Get a notification when a top site starts using ISO-8859-2. ISO-8859-2 (informally also called Latin-2) is an 8-bit character set for Eastern European languages that are written in the Latin script.